The only one app in App Store that allows you to work with multiple Google Drive accounts. 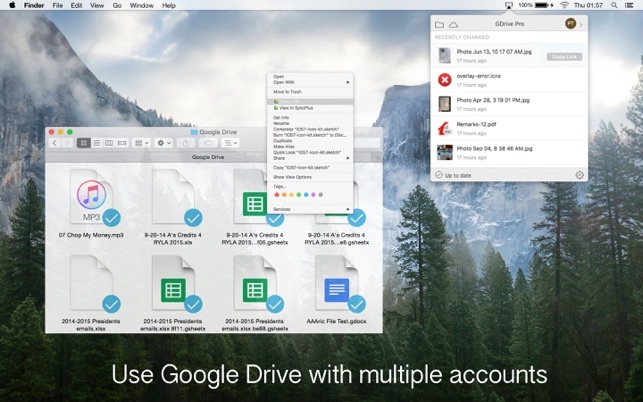 MultiDrive is a Google Drive native app that combines multiple accounts support, advanced syncing and sharing features with elegance and simplicity. Built for the power user, MultiDrive extends Drive's web functionality to your desktop by integrating tightly with Mac so you can get work done. - Support multiple Google accounts. 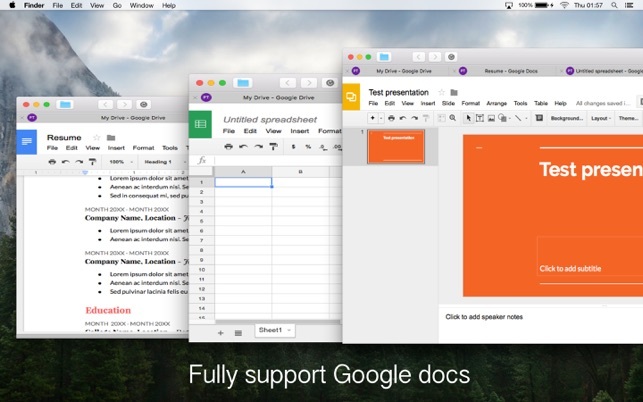 - Access your Google drive files directly from Finder include Google docs files. - Selective syncing of folders and files. - Realtime sync the change files, folders in Google Drive to local. - Realtime sync the change file, folders, from local to Google drive. - Work with Google Drive files when you are offline. Your changes will sync automatically next time when you online. 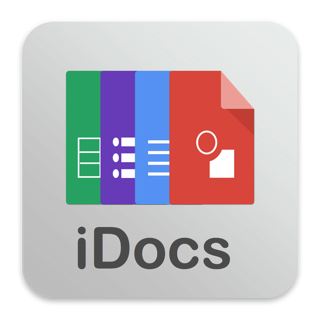 - Easy open and edit Google docs (docs, spreadsheets, slides) files in app with multiple accounts. - Built-in quick public sharing (no need to visit browser) . We love to hear your feedback. Please remember, we cannot reply to your comments in the Mac App Store.